Long before Frozen was dominating the charts for an impressive twenty-four weeks and holding, many of us grew up watching Disney movies and enjoying the wonderful songs that, chances are, you still know the words to by heart. The Disney song list ranges from sappy love songs to battle anthems and villainous theme songs. Take a look at our favorites below and leave a comment with your favorite Disney song, too! 101 Dalmatians wouldn’t be as memorable of a film if Cruella de Vil wasn’t in it, and the song dedicated to the fur-obsessed villain captures her essence perfectly. The song was covered by Selena Gomez in 2008, accompanying the Platinum Edition release of 101 Dalmatians. Disney’s version of The Hunchback of Notre Dame wouldn’t be the same without the festive tune. 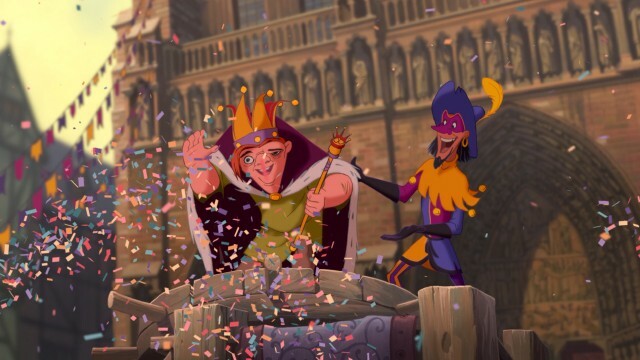 ‘Topsy Turvy’ is a pivotal moment of the film, bringing Quasimodo and Esmeraldo together, and it heartbreakingly shows just how cruel the townsfolk are to the poor hunchback. Alice in Wonderland is a wonderful Disney classic, and the scene where Alice wistfully dreams of escaping reality into her own world where her imagination can run wild is beautiful. ‘In A World of My Own’ starts the movie off splendidly, and Alice soon finds her dreams coming true as she makes her way into Wonderland. Sleeping Beauty is another old Disney classic that still is just as charming as ever today. ‘Once Upon a Dream’ finds Princess Aurora singing to her animal friends about the prince of her dreams. He eventually joins her and the two share a beautiful and touching duet. Disney’s upcoming live action film Maleficent features Lana Del Rey covering the song and giving it a haunting overhaul that will surely give you goosebumps. Take a listen below. Hercules fell head over heels in love with Megara instantly, but it took her a little longer to come to the realization that she had feelings for him too. The song, sung by immensely talented actress Susan Egan, is the most memorable track from Hercules. Did you know Susan Egan did an awesome medley of songs from Disney’s best heroines? Check it out here. Mulan is one of Disney’s more underrated heroines, and it features this beautiful track where Mulan laments sorrowfully about her appearance not matching who she is on the inside. This is easily one of the most relatable songs in the Disney canon, and Christina Aguilera owes it to her cover of this song for starting her career. The version featured in the film, sung by Lea Salonga (who also provided Princess Jasmine’s singing voice in Aladdin) is just as beautiful as Christina’s cover. Despite the amount of flack Pocahontas received for it not being the most historically accurate film, it’s still an undeniably beautiful movie that featured some outstanding songs. ‘Colors of the Wind’ has an inspiring message and reminds us all to respect the earth and our fellow human. The emotion captured in this song, performed by Judy Khun, is almost palpable, and ‘Colors of the Wind’ is definitively one of Disney’s best songs to date. The Lion King‘s ‘Can You Feel The Love Tonight’ is a perfect pop song. Composed by Elton John with lyrics by Tim Rice, it won both the Academy Award and Golden Globe for Best Original Song in 1994. The song is beautifully romantic, never being over the top or cringeworthy, which must have been an especially hard feat to accomplish considering it’s being sung by two animated lions. Another award winning song, ‘A Whole New World’ is the first and only Disney song from an animated film to top the Billboard Hot 100. Aladdin takes Jasmine for a ride on his magic carpet, showing her the world around her in all its glory. This scene is probably the most memorable in Aladdin, if not one of the top standout Disney scenes of all time. 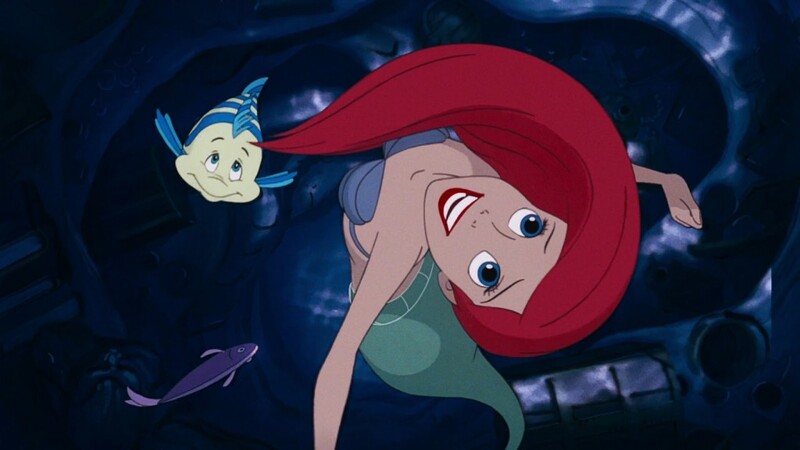 The Little Mermaid features some of the best Disney songs. From ‘Under the Sea’ to ‘Poor Unfortunate Souls’, it’s no wonder that this movie was turned into a Broadway play. ‘Part of Your World’ is the perfect song for anyone who’s ever felt like they didn’t belong. Your heart will almost break listening to Ariel (Jodi Benson) as she sings of her desire to be a human and live the life she’s always dreamed. ‘Part of Your World’ is equally melancholy and uplifting, making it my favorite song from the Disney films to date. Welcome to the new POParazzi!